The third-generation Kia Forte is finally here. Everything has been updated for the new model year including the exterior design with cues from the new sporty Kia Stinger. The new 2019 lineup has also been sprinkled with tons of new standard and available features on all trims including a generous selection of active safety equipment that brings a lot of value to the budget-friendly lineup. Learn more about the pricing and key features of each 2019 Kia Forte trim below. 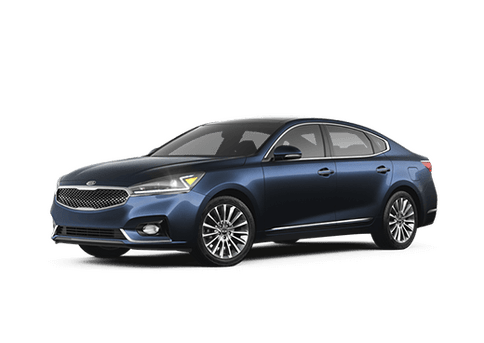 Then, head to the Moritz Kia online inventory page to see which 2019 Forte models are currently in stock. How much do the 2019 Forte trims cost? Key Features: Standard manual transmission, automatic headlights, 8-inch touchscreen display, Android Auto and Apple CarPlay, a rearview camera, forward collision-avoidance assist, lane departure warning, driver attention warning, automatic climate control, and more. Key Features: Automatic transmission, selectable drive modes, split-folding rear seats, projector beam headlights, a chrome exhaust tip, and more. Key Features: 17-inch alloy wheels, fog lights, leather-wrapped interior accessories, LED positioning lights, 8-inch UVO-powered infotainment display, keyless entry and keyless trunk, and more. Key Features: Power-adjustable driver seat, Smart Key, heated front seats, leatherette upholstery, USB ports, blind spot monitoring, rear cross-traffic alert, dual-zone climate control, and more. With affordable starting price points and a variety of active safety features on all trims, the 2019 Kia Forte lineup provides plenty of value no matter which trim drivers move forward with. If you still aren’t sure which 2019 Kia Forte trim is the right fit for you, get more in-depth information from the Moritz Kia team in person at the dealership or online via the pop-up form below.